We are located in San Juan Del Sur, Rivas, Nicaragua, one of the finest towns in Central America. San Juan Del Sur was once a sleepy little village with fishing being the main economic revenue for all families. However things have changed, thanks to our tourists who are visiting us from all over. We are becoming more known to the world as a travel destination. Within the last fifteen years San Juan Del Sur has increased in popularity among surfers hosting national and international tournaments. San Juan Del Sur offers fantastic beaches, hiking and biking, tons of festivals and events, shopping and incredible restaurants and nightlife!You will feel totally welcome in your “home away from home” at our bright, cozy hostel, where you’ll meet other travelers from around the world and enjoy all the amenities that the hostel and San Juan Del Sur have to offer! Hostal Beach Fun Casa 28 focuses on our guests and we do our best to make sure you have a great stay. 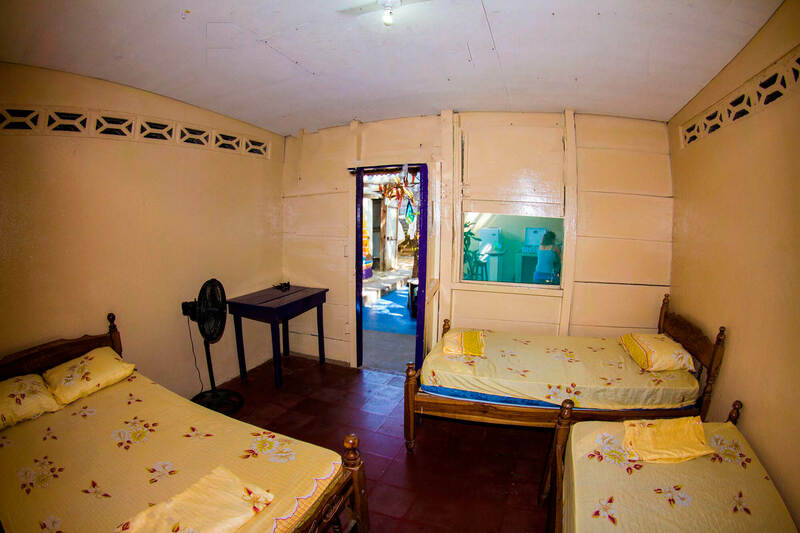 We know the importance of having a clean and safe environment for our visitors and that’s exactly what we have at Hostel Beach Fun Casa 28. All of the rooms at the hostel are private rooms! 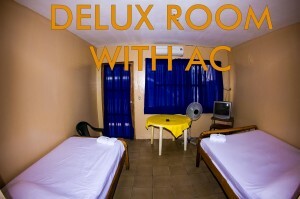 We have rooms that can accommodate 1 person, a pair, or groups. All of our rooms have windows with mesh to protect against mosquitoes. 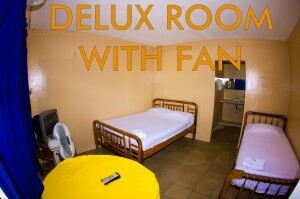 We strive to be the friendliest, SAFEST, cleanest and coziest hostel in San Juan Del Sur Nicaragua! You’ll love all the services / amenities we provide to you! We offer a fun and relaxed atmosphere with accommodation to suit all individuals or small groups. You’ll love our bright surroundings! 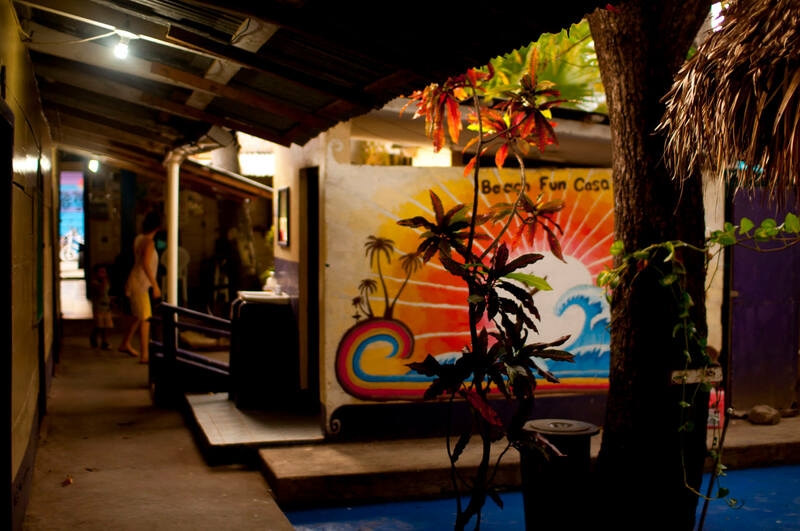 Our mission is to be the “cleanest and the SAFEST HOSTEL in San Juan Del Sur, with the best atmosphere possible and the friendliest staff “! Our facilities include free internet access and WIFI, free fully equipped kitchen, free personal lockers, laundry facilities, round the clock security. We also have parking available, discounts for local restaurants and Spanish schools, adjacent to the surf casino. We are a block away from the food stores, bus station and food market. We have ATV Rentals. We have Information on fun activities such as what to do, where to go and so on. We have our beach within walking distance! We hope to see you soon and wish you safe and happy travels! Call us or email for reservations.